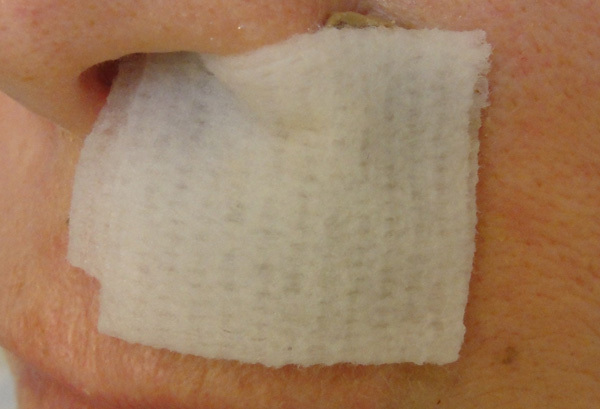 Synopsis: An individual was diagnosed with squamous cell carcinoma near the nose above the left lip. The individual elected to use cansema to kill the tumor, and healing clay to heal the wound, followed by a special Ayurvedic salve to reduce the scar tissue. We only use CANSEMA, purchased directly from Greg Caton's company "Alpha Omega Herbs" based out of Ecuador. 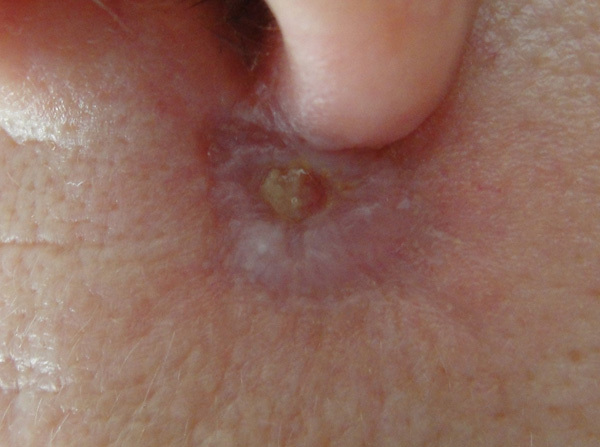 Using the famed "black salve" to eliminate skin cancer must be done after an individual is fully aware of the entire treatment. In some cases (such as this one) treatment can be very painful. Since the wound is naturally healed rather than sutured, the entire process from beginning to end can take a few months. Look for the entire case history report to be published in Volume 2 of, "Upon a Clay Tablet", currently being written. 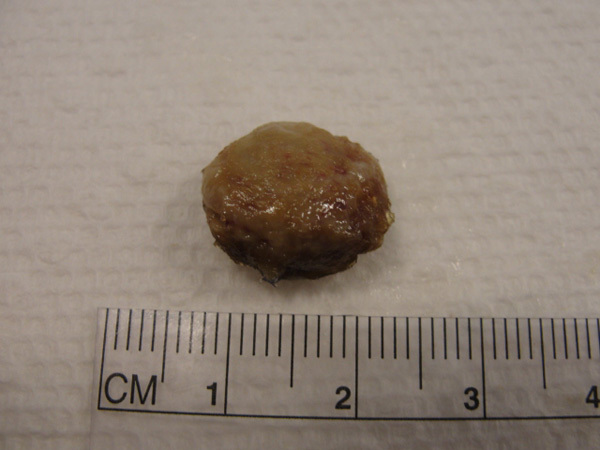 A second application was done to be certain the tumor was completely eliminated, despite being advised not to do so! After the Cansema is removed, the treatment site is gently cleaned. and is naturally ejected by the body. 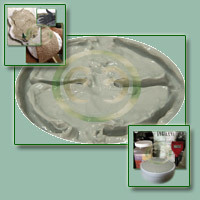 This particular clay is very advanced blend of three different therapeutic clays. 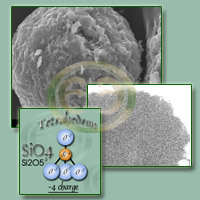 The isolated silver water is then mixed with the water formulation. which is used directly over and in the wound. for wound cleansing and dressing hydration. 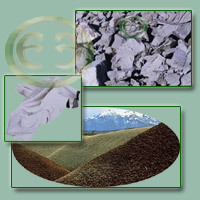 The gauze is moistened with the same type of water used to hydrate the clay with. of the clay can cause tissue damage. At last, the initial healing is almost complete! 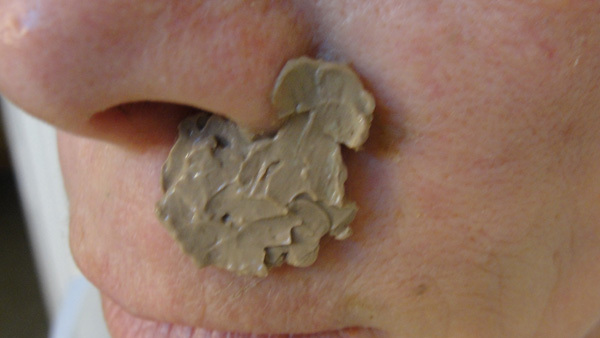 Once healing was completed, clay was still used as needed to soothe the site. Next, an ayurvedic salve is used topically to begin to reduce scarring. and look: the treatment site is beautiful. It has come to our attention that Facebook groups and other forums are linking to this page in order to bolster their own agendas with the use of custom or home-made black salve formulations. Many of these groups claim to be research groups and thus experts on black salve use. It is shocking to us how little these "groups" and experts actually know about escharotics. No matter how well-intentioned self-proclaimed experts are, we strongly encourage individuals to study from more than one source. Let me be clear: Any individual that elects to use black salve on skin cancer should spend a GREAT DEAL OF TIME doing THEIR OWN PERSONAL research before doing so. NOT ALL BLACK SALVES work the same. There are many different formulations. In particular, it seems that salves commonly used in New Zealand and Australia may be very inferior, requiring an individual to apply the salve over and over again for months at a time. THIS IS RARELY NEEDED, and a sign that an inferior salve formulation is being used. This "problem" may be due to the government banning of these types of salves, and self-proclaimed experts not encouraging people to do diligent research (in other words, having a "I'm the expert listen to me" attitude). Furthermore, running a research group on Facebook is not a good idea. You can't provide accurate and comprehensive information in a news feed format, and then hope that people click over and read the files section. WE ONLY RECOMMEND USING A PROFESSIONALLY FORMULATED SALVE, specifically, ONLY CANSEMA. IT IS NOT EXPENSIVE. 1. 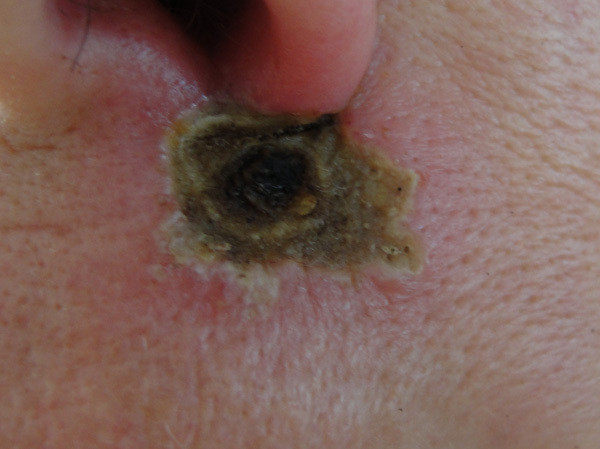 Do you personally recommend that I use black salve on my skin cancer? I don't know you, so how could I possibly make any recommendations? Using a black salve is a personal choice that should be made after doing diligent research and applying critical thinking. The only time I've personally recommended its use, is to individuals that I know very well, and only after sharing all of the pro's and con's. 2. Do properly formulated black salves actually work? Yes, they absolutely work. 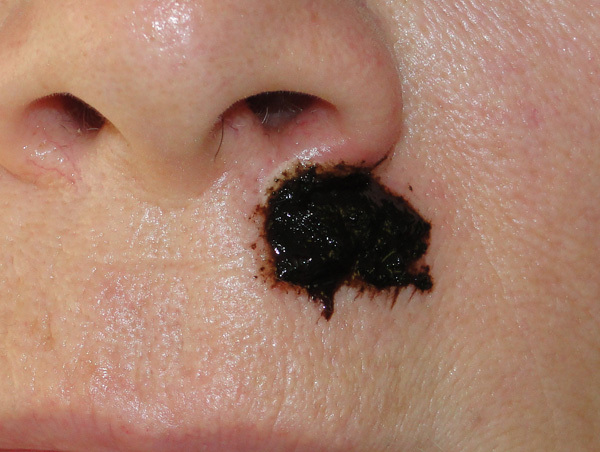 I've never seen or heard of properly formulated black salve not working. When used properly, it is a very efficient and effective way to deal with skin cancers, especially if one is dealing with recurring skin cancers. Surgery risks spreading cancer. That said, it is seldom a pleasant experience to use black salve. 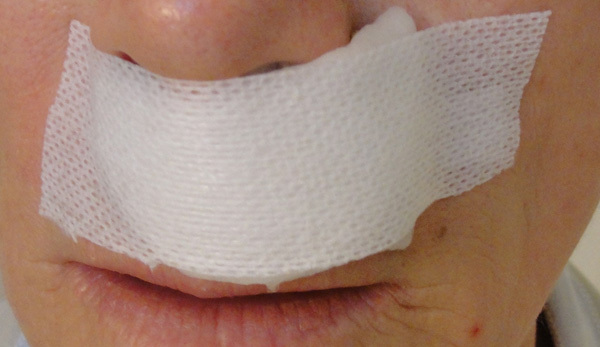 The risks of scarring, sometimes severe, varies person-to-person. That is by far the worse advice ever. If a person isn't worried before application, they certainly start to get worried very quickly afterwards. If your herbalist expects you to act in-human, then perhaps you need to find one that understands the human condition. It is perfectly natural to be worried, which is why "you" should have already done a ton of research so that you know exactly what to expect. There is always room for concern and a healthy dose of "worry" when it comes to cancer. So, feel free to worry a little, but keep in mind that there is rarely a reason for panic! 4. Have you personally used black salve? If so, would you do it again? Yes, I have used both black salve and egg plant extract on skin cancer. In the future, I would elect to use the black salve if it ever becomes necessary.